PORT-AU-PRINCE, Haiti - Investigating Judge Lamarre Belizaire on Wednesday issued an arrest warrant against former Haitian president Jean Bertrand Aristide, who is currently under investigation for corruption, misappropriation of public funds and laundering of drug money, as he failed to comply with a summons to appear at the magistrate's office on Wednesday, sources told HCNN. Aristide was expected at the judge's office to answer questions, as part of a criminal investigation that also involves dozens of former allies of the ex-leader who have been banned from leaving the country. A source familiar with the case told HCNN that the judge decided to issue an arrest warrant against Aristide because he was obligated by law to appear and that Haitian law provides that after a summons to appear the judge can issue an arrest warrant to force the person to appear. "The judge was at his office waiting for Mr Aristide to appear, he never saw him, while other allies of the former president have been commenting the content of the warrant on the air, which means, they are in possession of the document," a functionary at the Judicial Palace told HCNN on Wednesday on condition of anonymity. 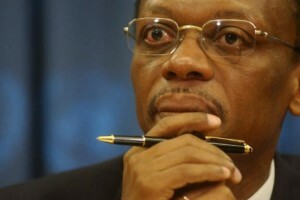 Aristide and dozens of his allies have been accused of embezzling hundreds of millions of dollars under his presidency between 2001 and 2004.